This #PSLT20 will remain in name of spinners. 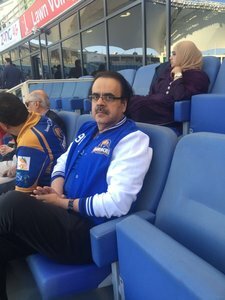 Bopara jese player ko ghar me koi nai khilata ham logo ne #PSLT20 me tuk tuk karnay ke liye bulaa lya ha. 20 to 25 more runs and Karachi will defend it easily. @realshoaibmalik hit some big ones boy..
Jeete ga bhui jeete ga #QuettaGladiators jeete ga ???????? Some Pakistani think that boycotting #PSLT20 or giving hate speech to it is making them cool! Yeah you are looking just "kewl"
I am not supporting #QuettaGladiators only bcoz they are wearing my fav color kit but coz they have KP .. #PSLT20 #PSLrocksCricket ??????? ?